Dayco Drive Belts are manufactured from aramid reinforced polychloroprene and p-arramid cord to ensure superior strength, enhanced dimensional integrity and longer belt life. 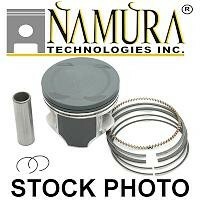 Includes Piston, Rings, Clips and Wrist Pin. Polyurethane Ball Bearing Chain Roller. Includes Mounting Hardware and two precision ball bearings. 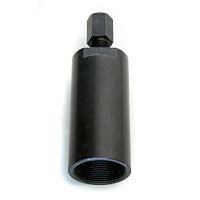 27mm X 1.0mm Left Hand Thread Flywheel Puller. Flywheel should have internal threads. Kawasaki KD80, KX80, KDX80, KS100 /125 & Most early point type ignition flywheels. Yamaha YFS200, YFZ350, YSR50, YT125 /175 & Most single cylinder off road enduro and motocross models. 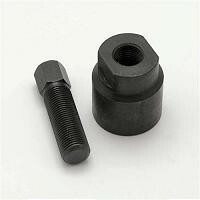 16mm X 1.5mm Right Hand Thread Flywheel Puller. 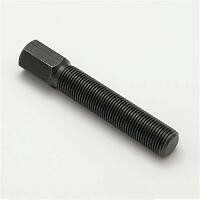 30mm x 1.5mm Right Hand Thread Flywheel Puller. 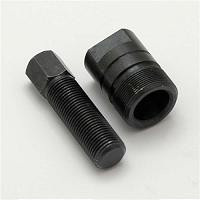 Use on external thread flywheels. 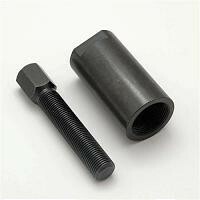 30mm X 1.5mm External Right Hand Threads Puller. LT160 03-04, LT230E 87-93, TM125 73-75, TM250 72-75, TM400 71-75 and others. USE FP107 for Deeper Pull. 35mm x 1.5mm Right Hand EXTERNAL Thread Flywheel Puller. 3" Pulling Depth. 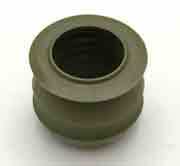 Use on Flywheels with external threads. Suzuki LT250, LT300, Some Kawasaki. 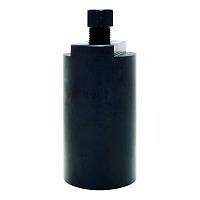 38mm x 1.5mm EXTERNAL Thread Flywheel Puller. 4" Pulling Depth. 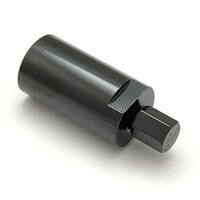 50mm x 1.5mm Internal Thread Flywheel Puller. LT230/250 Top End Gasket Set. 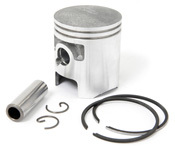 ATC/TRX 200 Standard Piston Kit. Includes Piston, Rings, Clips an d Wrist Pin. Standard size replacement piston rings for Suzuki. Oversized .50mm replacement piston rings for Suzuki. Suzuki / Arctic Cat Piston Rings.